There is village named Virpur near Rajkot in Saurashtra (Gujarat State). About one hundred seventy five years ago, one day, a sannyasi from Mount Girnar came there all of a sudden. 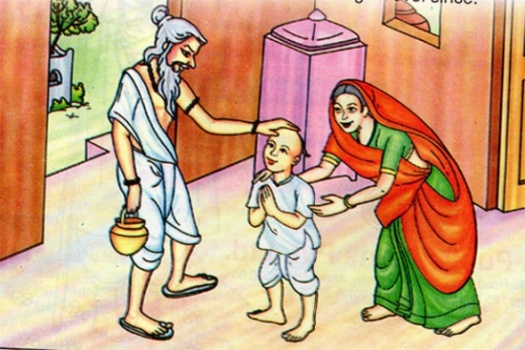 He went straight to the house of a Lohana gentlemen named Pradhan Thakkar Rajbai, the house wife, had a great affection for the sadhus and the sannyasis. She welcomed the sannyasi and said, ‘Please take your seat, have your meals and be comfortable here’.